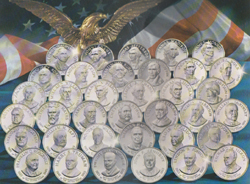 Franklin Mint Pope John Paul II Visit to the United States Eyewitness Medal (Sterling) Current Market Value. 39mm. Certified October 31, 1979. 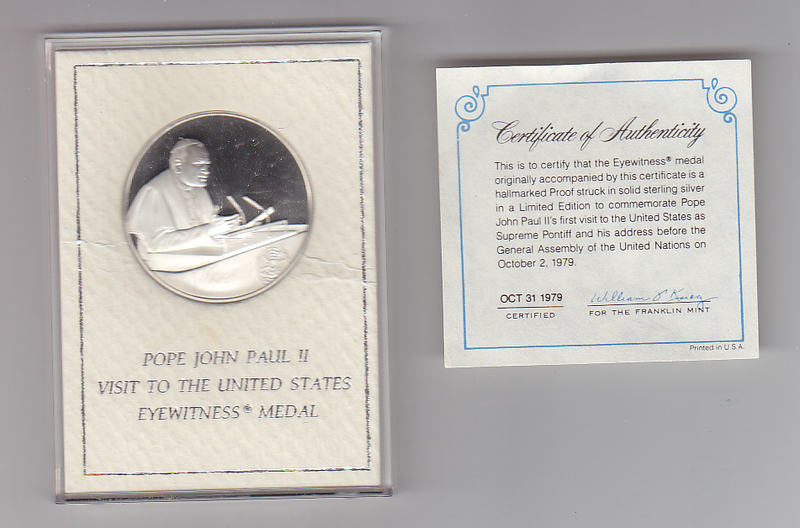 Sterling silver medal issued to commemorate Pope John Paul II's first visit to the United States as Supreme Pontiff and his address before the General Assembly of the United Nations on October 2, 1979.